FCOF II UB Securities LLC vs. BNP Paribas in the High Court of Justice, Queen's Bench Division, Commercial Court Financial List 2017. Miss Ali, Managing Partner of AP Consulting, served as an expert in a $650 Sukuk issuance case and was instrumental in winning this case which is the first in English legal history to establish a duty of care owed by a bank to a secondary financial market. 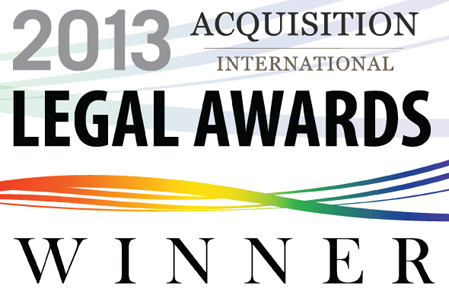 AP Consulting has been awarded the 2013 Arbitrators of the Year by Acquisition International: Legal Awards. The managing partner of AP Consulting, Ms. Reema I. Ali, was the expert witness on Kuwaiti law in an ICC arbitration that secured a US $2.1 Billion for client The Dow Chemical Company. The case was brought by The Dow Chemical Company Inc. against Petrochemical Industries Company (PIC), a wholly owned subsidiary of Kuwait Petroleum Company (KPC), stemming from PIC's withdrawal from a planned joint venture with Dow. Although the joint venture agreement included an English law choice of law clause, the case revolved around Kuwaiti law position as to the role of the Kuwaiti government in the oil sector and the Kuwaiti oil companies. The testimony covered almost every aspect of Kuwaiti law including the constitution, administrative law, company laws, commercial law, and oil sector regulations. AP Consulting worked with Shearman and Sterling on this case.